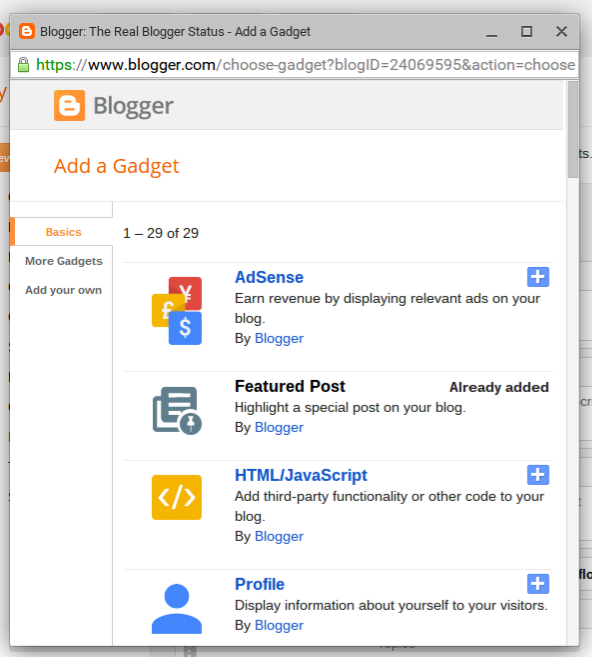 Last week, Blogger Engineering announced their latest feature, "Featured Post". Whether you’d like to re-share that delicious holiday recipe from a few years back, spotlight a can’t-miss promotion you’re running, or just revive something quirky from the archives, the Featured Post gadget is a simple way to show off the content that matters most. 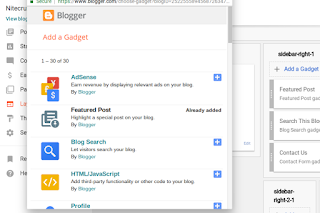 The Featured Post gadget is not at all difficult, to add to the blog. It's right there, at the top of the main "Add a Gadget" list. Start with "Add a Gadget". You have options to show the post title, and the first image in the post. And, you can change the gadget title. Choose a post from a post list. 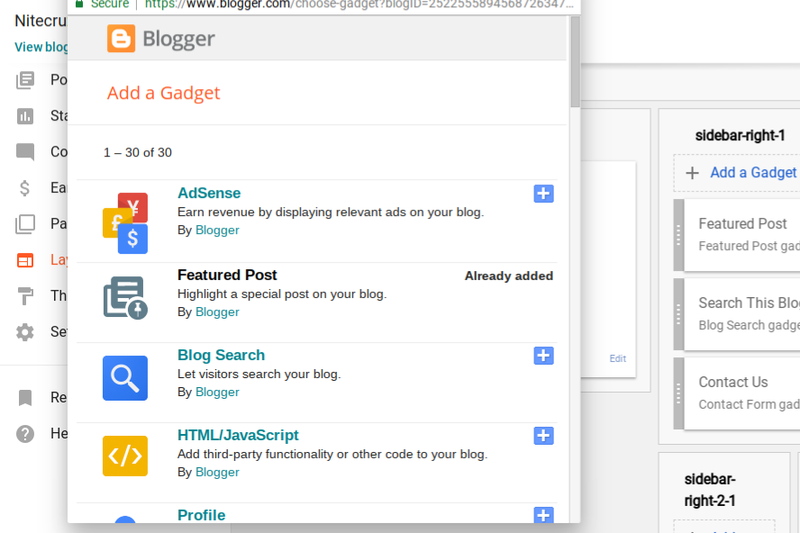 It's similar to the dashboard Posts page, with label search ability. And I changed the gadget title, to "Read, and Learn". Right now, it is "An Important Update". With my "An Important Update" gadget positioned above the posts, I hit "Save arrangement", refreshed my home page, and there it is. One interesting detail, that we should note. 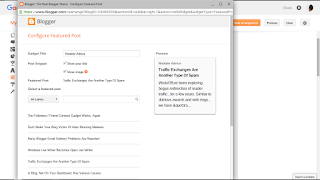 The feature is a "Featured Post" - and it appears above individual post pages, and above archive, label, main index pages (look up, and see for yourself), and static pages. Look at the bottom of my Topics index, for instance. The title is "Featured Post". 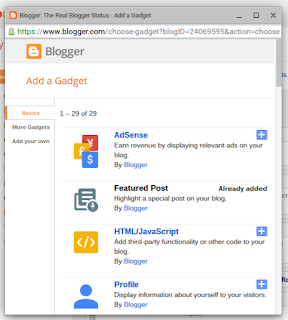 You can have one gadget per blog - and each gadget will feature one post. This focuses attention on one post. Note that you cannot do "Featured Page" - static pages are not supported. You can only add this feature once. It's called "Featured Post" for a reason. 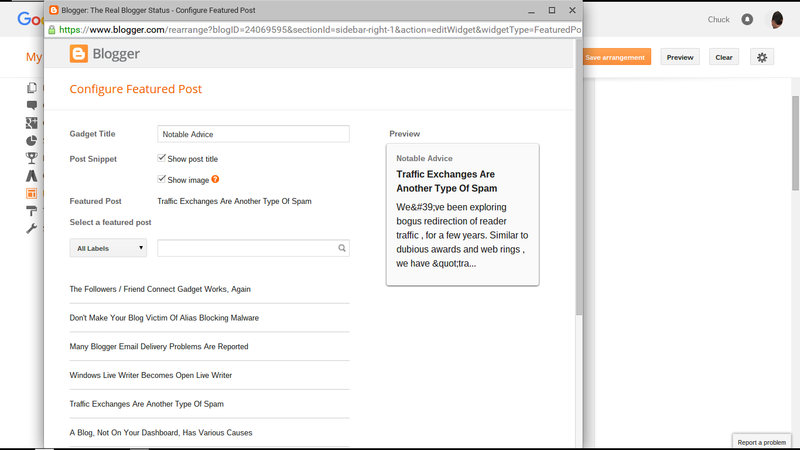 Note also that you can select the "Featured Post" using a posts list - either all blog posts (with "All Labels" selected), or posts bearing a specific label (with a specific label selected). I think that some ability to choose teaser content would be a useful addition to the gadget. Since we're going to manually choose a featured post, manually editing the teaser would not be too onerous an addition. Other than that, what's not to like? I've been doing this for ages using the Image gadget. I can't really see what this gadget delivers in addition to that. 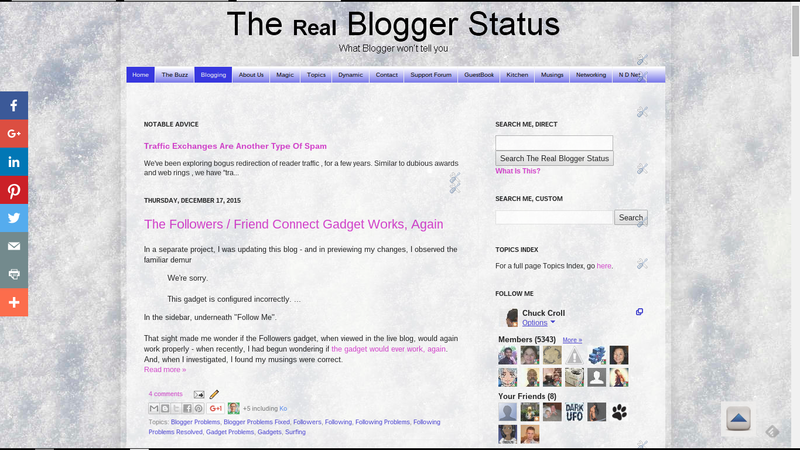 A shame because Blogger is in dire need of some shiny new gadgets and more (and that's coming from a fan of Blogger!). The new gadget does have a couple convenience features, ie ability to search on labels, and the posts selection list built in to the gadget. It's a bit more convenient than manually rebuilding an image gadget, no? Editing an image gadget would involve 3 or 4 times much deliberate action. This gadget can be updated in a few seconds - which is more likely for me to use it, daily, to emphasise an important issue. A few new Blogger features are repackaged tweaks that we make to our blogs, on our own - and frequently, after we ask for solutions, repeatedly. The more of us who ask for specific features, effectively, maybe the sooner we see some shiny new gadgets and more, that we appreciate. 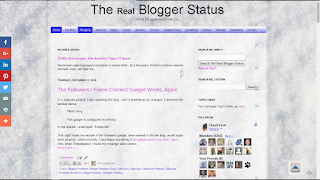 Have you suggested, to Blogger, what shiny new gadgets you believe might be most useful? Thanks for the detailed explanation of the differences. I don't find it takes me very long via the Image gadget, but that's probably because I've got used to how to do it.